Can you believe Disney's Beauty and the Beast has been with us for 25 years? Disney is celebrating with a brand new Walt Disney Signature Collection Beauty and the Beast! It's now available on Blu-ray, DVD and digital HD. Side note: I'm in love with this Beauty and the Beast quote shirt. 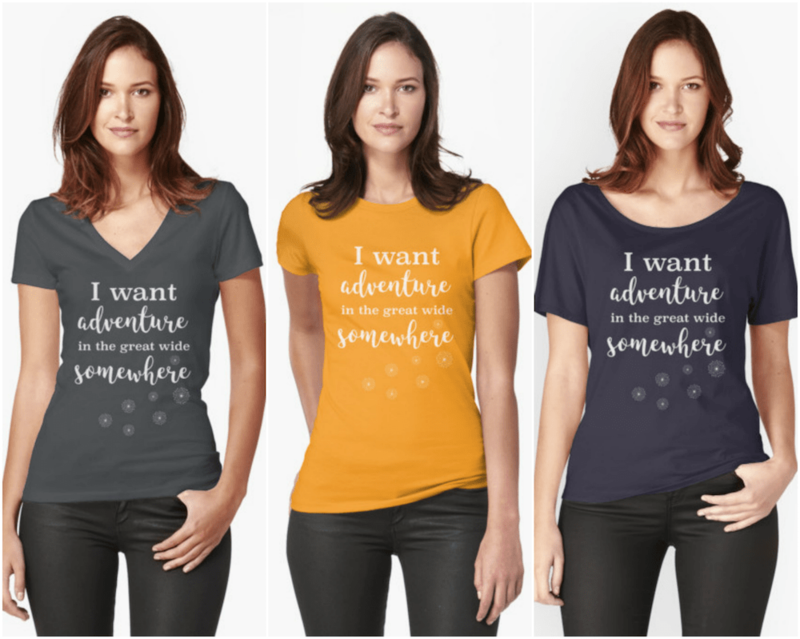 I want adventure in the great wide somewhere…is my favorite line from the whole movie! 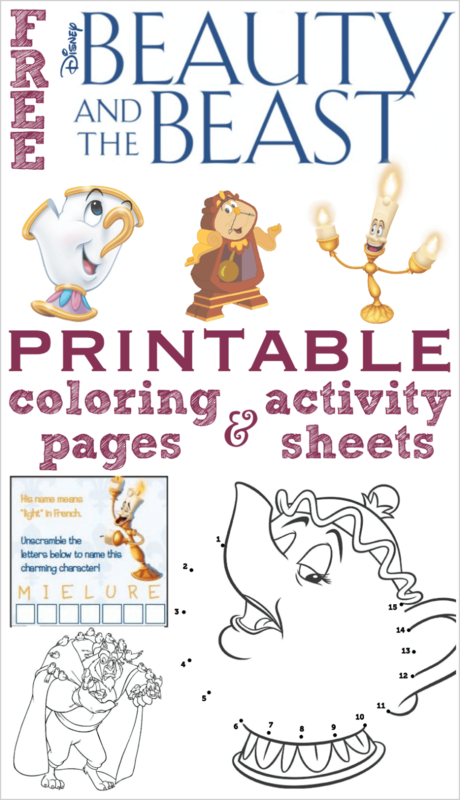 I'm celebrating at the same time with free printable Beauty and the Beast coloring pages and activity sheets! Click “read more” to learn about the Walt Disney Signature Collection and get your printable Beauty and the Beast coloring pages and activity sheets! Walt Disney Pictures’ magical animated classic “Beauty and the Beast” captures the magical journey of Belle (voice of Paige O’Hara). An independent and intelligent, modern-day heroine, she's taken prisoner by a hideous beast (voice of Robby Benson) in his castle. Despite her precarious situation, Belle befriends the castle’s enchanted staff—a teapot, a candelabra and a mantel clock, among others. The heroine ultimately sees beneath the Beast’s exterior and discover the heart and soul of a prince. “Beauty and the Beast” was nominated for six Academy Awards®. It was the first animated feature to receive an Academy Award® nomination for best picture. It won two Oscars®, including best song, by the renowned Alan Menken and Howard Ashman. It also won best original score (Menken) plus a Golden Globe Award® for best comedy/musical. “Beauty and the Beast” was Disney’s first animated film adapted into a Broadway musical, which ran from 1994-2007 and has delighted more than 35 million people worldwide. On March 17, 2017, audiences will experience the retelling of the original tale through Disney’s live-action film, “Beauty and the Beast,” in which Emma Watson plays Belle and eight-time Oscar® winner Alan Menken returns to recreate his Academy Award®-winning music score. Menken & Friends: 25 Years of Musical Inspiration :: Get a front-row seat for an intimate discussion between legendary music composers. Faces from classic and future Disney films, include Alan Menken, Stephen Schwartz, Kristen Anderson-Lopez, Robert Lopez and Lin-Manuel Miranda. Discover how the composers are personally connected, how they first experienced Beauty and the Beast and how they find inspiration for their own films. Watch as they pay tribute to the film’s award-winning music score and the man who has inspired them all—Alan Menken. #1074: Walt, Fairy Tales & Beauty and the Beast :: Long before Beauty and the Beast became the classic we know and love, Walt Disney made two attempts to adapt the tale into an animated film. Discover what Walt and his team was dreaming up through Walt’s voice recordings, archived artwork and story notes. Then learn why the project was sidelined for decades. Always Belle :: The original voice of Belle, Paige O’Hara, reminisces about earning the role of the beautiful bookworm in Beauty and the Beast. She recalls how the iconic character changed her life and continues to inspire fans both young and old. The Recording Sessions :: Go in the recording booth with the cast of Beauty and the Beast. Learn what went into adding voices to the characters and the lines we know and love. 25 Fun Facts About Beauty and the Beast :: Disney Channel’s Gus Kamp and Kayla Maisonet host this entertaining countdown. Featuring little-known fun facts, anecdotes and hidden Beauty and the Beast Easter Eggs, everyone will learn something new about this classic movie. Beauty and The Beast Sneak Peek :: An exciting first look into the live-action re-telling of “Beauty and the Beast.” The new film refashions the classic characters for a contemporary audience. The movie will stay true to the original music while updating the score with several new songs. 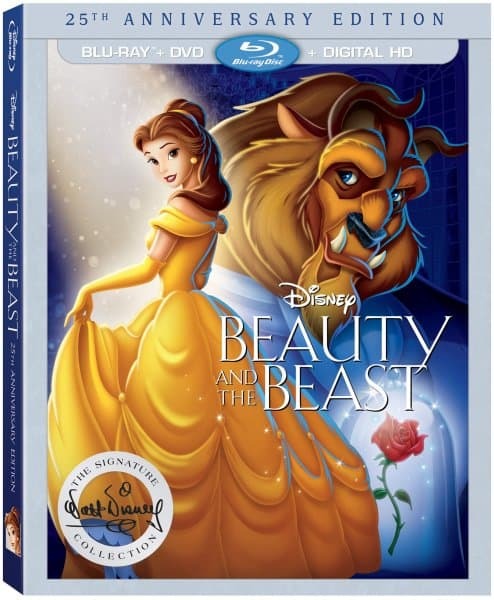 Buy Beauty and the Beast from the Walt Disney Signature Collection on Blu-ray DVD and digital HD today! 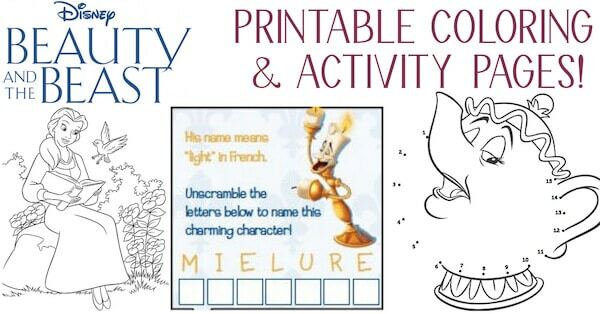 Free printable Beauty and the Beast printable coloring pages and activity sheets are the perfect way to entertain any fans of Belle, Beast, Cogsworth, Lumiere and the rest of the cast! Get them here. Disclosure: Thank you to Disney PR for the Blu-ray set to facilitate this post.